Born and raised in a small town of Winterville, North Carolina Ronnie Run is a well-known rapper with a lot of streets credit. “I want to put North Carolina on the map and show people that there is talent around the state.” Growing up around the Pitt County area was just plain and real for Ronnie. “Where I’m from was nothing different from your New York or LA. Living in the South; the pace is slow and the hard work is there.” Starting out as a DJ; Ronnie knew or thought this was something he wanted to do. After the Dj thing fell through; “I had a backup plan and it was rapping.” Ronnie’s influences are God, my daughter Jocelyn, my family, The Sugar Hill Gang, Grandmaster Flash and the Furious Five, 2Pac, Notorious BIG, Rakim, Ice Cube, Dr. Dre, KRS-One, LL Cool J, Run DMC, Beastie Boys, Jay-Z and the list goes on and on. “I remember the first time I heard “Rapper’s Delight” by the Sugar Hill Gang and I knew from that point; rapping was something I wanted to do.” It was during a school test when Ronnie wrote his 1st rap song. After that I called my cousin Big Buji and he told me that he was putting beats together so we got in the studio and did my first EP “Lyrical Masta;” it became a street classic. Two of those songs hit the radio airwaves “Ghetto Stress FT. Black Chyna” and “North Kack for Real.” With the success of these songs, I thought it was time for me to try a new producer. Consistently well liked songs have garnered a lot of attention for Ronnie. This can be seen in his DJ Comments: DJ Green Lantern says: “Finally this is what I am talking about! A song with nobody getting killed?”, DJ King Bee from South Carolina says: “Ronnie Run is the truth he is nice on the mic!”, Big Skye (2Pac homie) says: “Ronnie Run sounds like a new version of Biz Markie.” His current hit “I Remember” was recently featured on the local news on WNCT Channel 9 in Greenville, NC and “Hood Famous” is starting to buzz online as well. He has also had a video featured on BET’s late night show “Uncut”, “4 tha’ Club”. 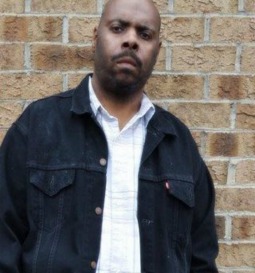 A Clear Channel “Artist 2 Watch”(Urban) Ronnie is also a featured artist on SongCastMusic.com, among many others, and in rotation on a variety of radio stations including SongCastRadio.com. On AudioStreet.net he is ranked in the Top 100 at number 19 in the overall artist ranking, in the top 40 at #35 with the song “I Remember”. “Arrived” has hit number 1 on Hip Hop chart and number 42 on the Top 100 charts Artispoia.com and “I Remember” was retired on that same site at number 18.Recently “Put Down” has been placed in rotation in the UK and a lot of online radio stations as well as mainstream stations are starting to spin this track.